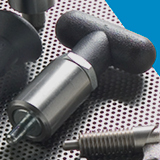 Quick release ball lock pins have a wide range of applications in fastening, locating, and alignment. 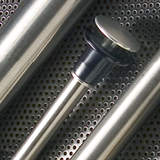 These positive locking pins will not release until the button on the handle is depressed, which then allows the balls to retract into the shank. 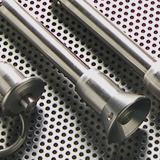 All quick release pins are available in a variety of lengths and diameters with shanks made from 17-4 stainless steel, 300 series stainless steel, or 4130 alloy steel. 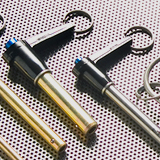 Weld-in style pull pins are also offered. 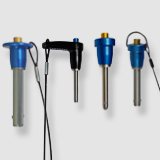 These pins allow a user to quickly retract and engage the plunger for locating, fastening, and quick change operations. Browse these categories under "Quick Release Ball Lock Pins"
Ring handle for convenient attachment of lanyards and split rings. 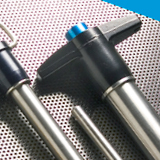 Designed to prevent accidental release and are machined from 303 stainless steel. 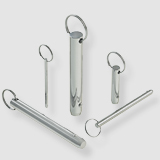 Spring-loaded pins that allow you to quickly retract and engage the plunger for locating, fastening and quick change operations. Large ergonomic dome actuator button facilitates easy installation and removal. 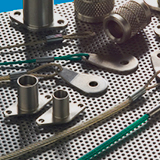 Receptacles, end caps and wire rope lanyard assemblies. These pins have a wide range of uses in fastening, locating and alignment applications. 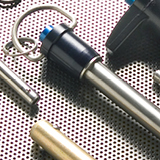 The spring-loaded ball retracts when it is inserted or removed.